Stager: Patti Stern, PJ & Company Staging and Interior Decorating, Cheshire, Conn.
1. 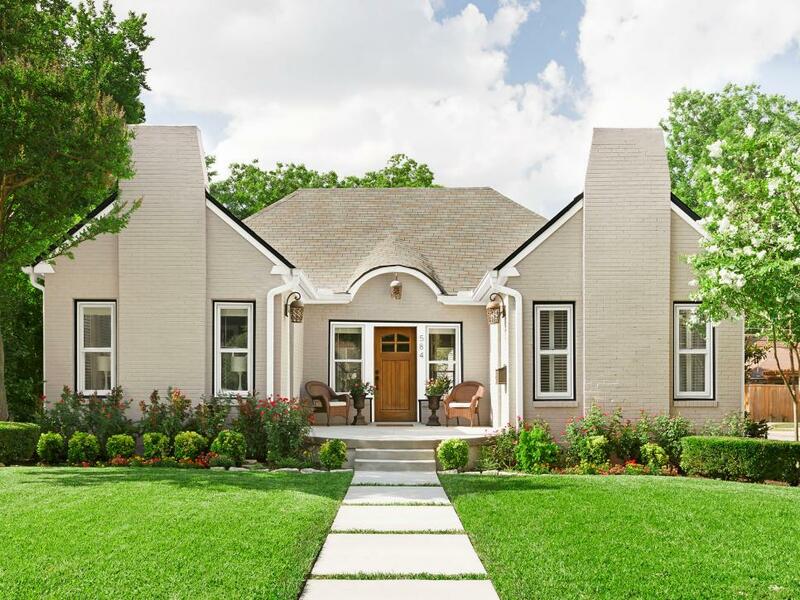 When staging a room, look for a modern neutral rug that goes with the décor, such as organic rugs like sisal for under a kitchen table or even with a colored border. ‪2. If there is hardwood don’t go too big with the rug. Try a 5×7 under a kitchen or small dining table when there is hardwood to add color. 3. Don’t use too many patterns. Think about the rug when the room will be photographed. You don’t want it to overwhelm the photo. When in doubt, use a neutral beige rug that will make the photo and the room pop. If you’re one of those families that has multiple pets, you know it can be hard to keep your home clean and smelling fresh. 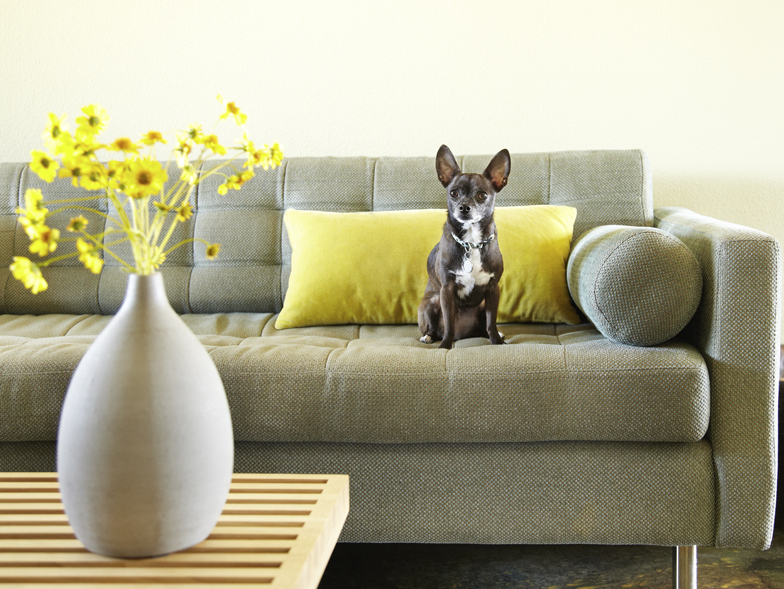 Here are some tips on how to keep your home from smelling like a pet store! Bathe and groom your pets regularly. This will keep excess dirt, oils, dander, and any odors that may be on your pets’ coats from being carried throughout your house. Brushing and grooming can be done more often, since it is just as important. Whenever possible, brush your pets outside to prevent loose hair from finding its way onto and into furniture and carpeting. Get rid of the hair on your furnishings. Use a vacuum cleaner with a pet attachment or a lint roller to do away with loose hair at least once a week. If the lint roller or vacuum attachment isn’t working, try using a rubber glove (assuming that a little dampness is all right for your furniture, of course). Put in on your hand, moisten it a bit, and gently glide it over the surface. You should try to vacuum your floors once or twice a week, depending on the number of pets you have in your home. This will help lessen the amount of hair and cat litter on the floor that leaves behind those lingering pet smells. You can also use a squeegee to pull up the stray hairs in your carpet that your vacuum can’t get to. Pet hair can build up and clog your air filters. Be sure to change your air-conditioning or furnace filters at least every three to six months. Be sure to always use disinfectants. Many odors are caused by bacteria. Try using high-quality sanitizing cleaners that kill more than 99 percent of germs for those lingering odors and surface bacteria. Be sure to use products that are safe for curious tongues and noses! Eliminate those urine odors right away. If your pet has an accident inside, clean the area right away using an enzymatic cleaner. These are designed especially for eliminating pet odors and destroying any pheromones and molecules left behind. Don’t forget to wash their bedding. If your pet has a bed with a removable cover, be sure to wash that, as well as other pet bedding, at least twice a month. Keep up with the litter box. You should scoop the cat litter at least once a day. Keep the litter fresh with baking soda, as this can be used to absorb the smell. Try using a plug-in air freshener in the room where you keep the litter box. Coca-Cola July 4th Fest – July 2 through July 4 – Six Flags – 9:30 p.m. 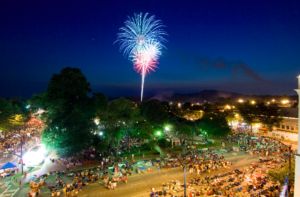 Salute To America – July 3 – Downtown Kennesaw – 6 p.m. Independence Concert & Celebration – July 2 – Mable House Barnes Amphitheatre – 7 p.m.
Fourth in the Park – July 4 – Historic Marietta Square – 10 a.m. Independence Day Celebration – July 4 – Power Springs Town Square – 4 p.m.